We’re a great place for you and your family; have some fun; kick a ball; share some memories and of course discover more about your favourite game. We’ve designed our museum to appeal to families with kids of all ages, so wherever you are there’ll be something for you to get involved with. Throughout the museum there are interactive objects, games and displays that will appeal to a wide range of ages. Our Discovery Zone is designed especially for ages 5 and under. Visit What’s On to see more family events. Some of our interactive simulations require users to kick, stretch, run and react quickly, and we suggest are most suitable for ages 7 and over. There are toilets on the Pitch Gallery (ground floor), Match Gallery (level 1), Play Gallery (level 2) and level 4. Baby changing can be found on the ground floor. 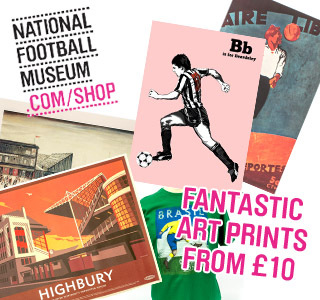 The Cafe at the National Football Museum is a great place to relax during or after your visit. We have lunch boxes and serve small portions for smaller appetites. We have high chairs and are very happy to warm bottles for you. Especially for the Under 5’s. Dressing up, a story corner and a soft play area for your little ones to enjoy. The museum is packed with displays and games at lower levels and which appeal to younger visitors; there are lots of interactive screens and quizzes, and chances to touch, smell, draw and play in the museum. We hope many of these displays will genuinely appeal to all ages! We’ve joined up with our friends at Manchester City FC to offer footy fans the opportunity to experience both the National Football Museum and Manchester City’s iconic home ground, the Etihad Stadium. The experience brings together a 90-minute, behind-the-scenes, guided tour of the Etihad Stadium and a visit to the museum, where all guests will receive a £5.00 package to experience our Penalty Shootout, take trophy photos, and join an exclusive guided tour of the galleries (for groups of 10 and more). The Ultimate Football Day Out is the perfect opportunity for kids and big kids alike to immerse themselves in all aspects of football’s rich heritage, and get feet-on with interactive challenges! 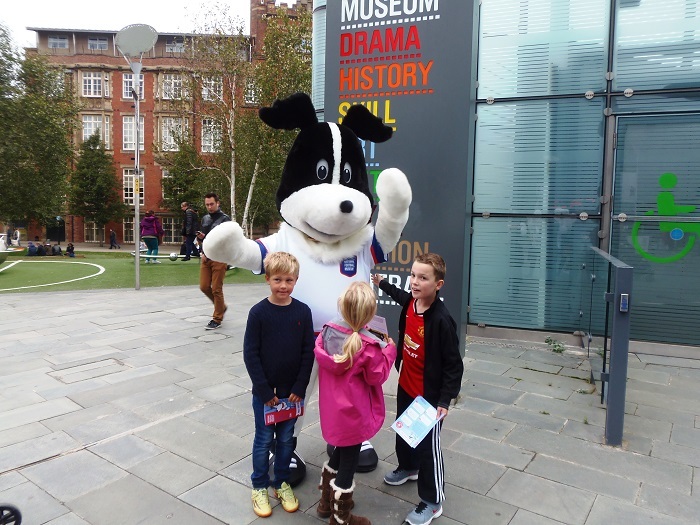 Our museum mascot is Pickles The Dog, based on the story of the dog who saved the World Cup! Pickles himself works at the museum during school holidays, welcoming young visitors and sometimes giving out prizes. Our Tiny Team Talk events often include the story of Pickles, too! We’re completely accessible to prams and pushchairs with lifts to all floors and an automatic entrance door. We also have a place to park your prams and buggies on the ground floor if your youth team want to stretch their legs. Our shop is stacked full of gifts and souvenirs, with something for all the team and plenty of pocket money gifts for the kids! Can you seek out some of football’s top treasures? Pick up one of our family-friendly trails on the Welcome Wing, and see if you can find the answers – and objects – on our galleries!